The Tigers come into College Station after an emotional overtime win, 86-80, at Missouri on Saturday in which LSU stormed back from a 70-56 deficit with 2:14 to play to force overtime at 71-71 after a 15-1 run. In the game, the Tigers, shooting just 35 percent for the game, got a personal 9-0 run from Skylar Mays on two three-pointers sandwiched around a layup and subsequent free throw that cut Missouri’s lead to 75-60. 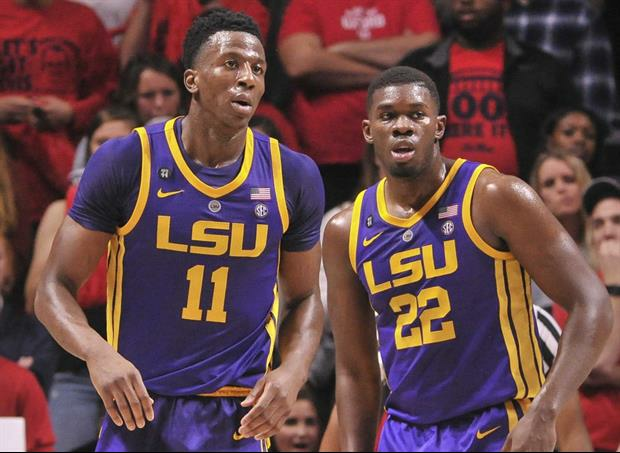 LSU would eventually tie the game with 2.2 seconds remaining on a free throw by Emmitt Williams. In the five minute extra session, Javonte Smart hit two three-pointers that helped LSU get the lead for good, going on for the team’s ninth straight win overall and their third road win in the season. Read more. Just make sure to beat the Bama jerseys off of them! Challenge is a strong word considering that A&M has been dominated at home in conference. Will Jimbo's nephew be there? Asking for a friend.